Today I did. Today, I place this heart in bigger hands. I choose to remind myself that it is all His and that it is still His. That though I cannot see my way to peace with it yet, I will trust that those in the midst of it will find some. I will pray fervently and I will do all I can to be one with those muddling in their broken hearts. I will read this book to my kids over and over to remind myself the point of a soft heart. Remembering that the best and most beautiful are also sensed by that same aching chunk in my chest. Reminding myself to let go of the need to control and understand…Those are the responsibility of a mind much greater than mine and a heart much softer (even if today that is hard to reconcile). It is hard to see sometimes isn’t it? I keep telling myself that someday. Someday I will see the treasure that awaits at the end of this trial. The description of that book made my heart contract and my eyes tear up. Is it good? Does it really help, a little? 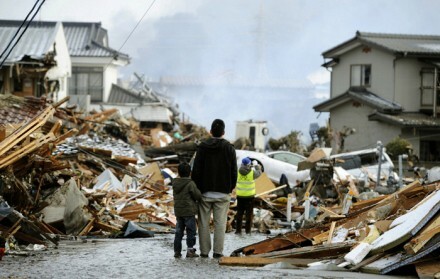 The devastation in Japan just seems so overwhelming that I too struggle with wanting to shut down. It is a great childrens book. One of those ones that leaves grown ups a little thick tongued. Does it help? Well…I don’t know. It makes you feel like that dull ache is worth the cost? No kidding. Thanks for writing. Wow, I am exactly where you describe here… stopping my heart up in a bottle because I just need to resist the quakes. I haven’t come out on the other side of faith yet, as you also describe. I’m trusting it’s everything-in-its-time. Thank you so much for your words. i have the same feelings and thoughts about our world. ps. i did just leave a comment, but from my wordpress account 🙂 loved this, dear melissa, as always… the way you tenderly capture God’s heart, shattering it across the screen for us to pick up and tuck inside of us. love you.